AJAX toolkit has a set of awesome controls, and very customizable too. 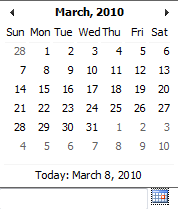 But one property that is not customizable OOB is how the day names are displayed in the Calendar extender. The displayed format is two letters only. But what if you want it to be displayed in three letters? Here a small cosmetic surgery (i.e. code changes). So, what does it take to do it successfully? On a development machine, I had a high CPU usage for the SQL server service. 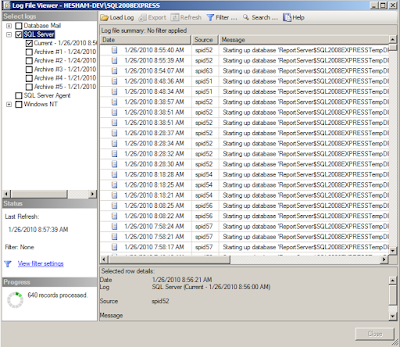 To understand the reason, I looked at the SQL Server logs (From SQL Server Management Studio - SQL Server Logs). As you may notice from the screenshot above, the activity of starting the reporting service database was recurring again and again. 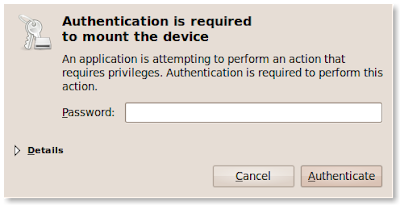 I checked the database options, and the noticed that the auto close property was set true. This explains why SQL Server tries to start the database at every connection. the database is closed and shut down cleanly when the last user of the database exits and all processes in the database complete. Unfortunately, the property was set to true when the database was created during the SQL server installation. Turning Auto close to false (off), and maybe restarting the service, returned the CPU usage of the SQL Server service to a normal level. 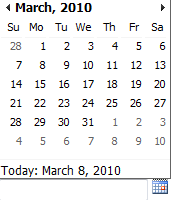 A new year, and as a habit, I share the a list of articles I read in the past year, 2009. It was a tough year on the personal, career and study levels, I wish I can contribute more to the community in the new year through blogging, article writing and open source software. What Can Database Developers and DBAs Do About SharePoint? Is Five the Optimal Team Size? The Tower of Techno-Babel: What Languages Do Devs Love Now? What is sysprocesses and what can it do for you? What happens when you perform a rollback inside a trigger? Master Data Services – What’s the big deal? Announcing VS2010 / .NET Framework 4.0 Beta 1! Flash vs. Silverlight: What Suits Your Needs Best?